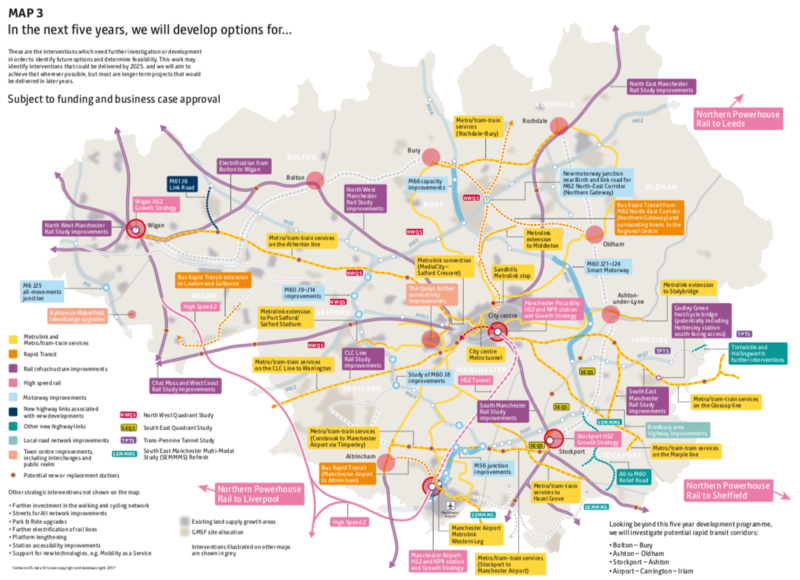 Alongside the GMSF, Greater Manchester has also set out a draft ‘Transport Delivery Plan’ – for 2020-25 – which sets out what is planned in terms of transport infrastructure. In Bury the only significant thing is some extra double trams (the ones that had already been announced). The biggest thing in the rest of Greater Manchester is the Metrolink line to the Trafford Centre which is currently being built (trams at the northern end will terminate at Crumpsall). In Bury this is mainly a new motorway junction at Birch services, with roads linking this north and south (presumably to serve the ‘Northern Gateway’ site of new houses and industrial development) and a Bury to Rochdale tram line! It is right that the plan is ambitious, but without proper funding these are just lines on a map! Please let us know what you think so we can feed into the discussions on this draft document. The full report is here. The Simister island Improvements can only mean to expand it so that additional lanes are created to access the M60 and M66 from the M62. This has the potential to lead to CPO of several houses at the bottom of Droughts lane to create the slip road.